Microgaming release Neptune Rising - A new Casino Slot! Apparently, the association between Microgaming and Plank Gaming is already bearing fruits. Indeed, on 14th March, Plank Gaming announce they’ll soon release an amazing new game exclusively for Microgaming and its partners. Which means that online casinos who offer their games like Spin Rider, Spin Station and Dream Vegas will soon release it too. It’s true that Plank Gaming isn’t the first studio to release an Atlantis theme video slot. And the truth is they’re probably not going to be the last one either. After all, Mermaids, dolphins and treasure chests have captivated the imagination of people for centuries now. And surely, it’ll be no different for players who’ll try this new online slot too. To sum up, the new Neptune Rising video slot has 5 reels, 3 rows, 10 paylines and an RTP of 95.92%. 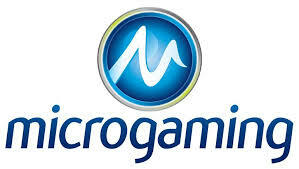 At the moment nor Microgaming or Plank, Gaming revealed the volatility index of this game. However, if we have to make an educated guess, we’d say it’s a volatile slot since the paytable is on the higher end of the scale. Indeed, landing 5 or more wild tridents will reward players with 9,000 coins. What’s more, is that this slot also has a generous Free Spins bonus and a max win that could see players pocket up to 5,000x their bet. So next time you visit any white hat gaming brands, make sure to give this slot a Spin. Who knows this game could also bear fruits for you too?